Fun and energizing group workouts. We are now offering online registration for all Train360, Cycling, and Rhythm Ride classes instead of tickets. Deep Water participants do not need to pick up a ticket; please bring your Wiscard to the pool deck to be checked in. Online registration is not required, but it is strongly encouraged in order to secure your spot in class. Click here for a step-by-step guide on how to register and cancel classes. If you are experiencing problems or have questions about registering online, please call our Member Services staff at (608) 262-3742. 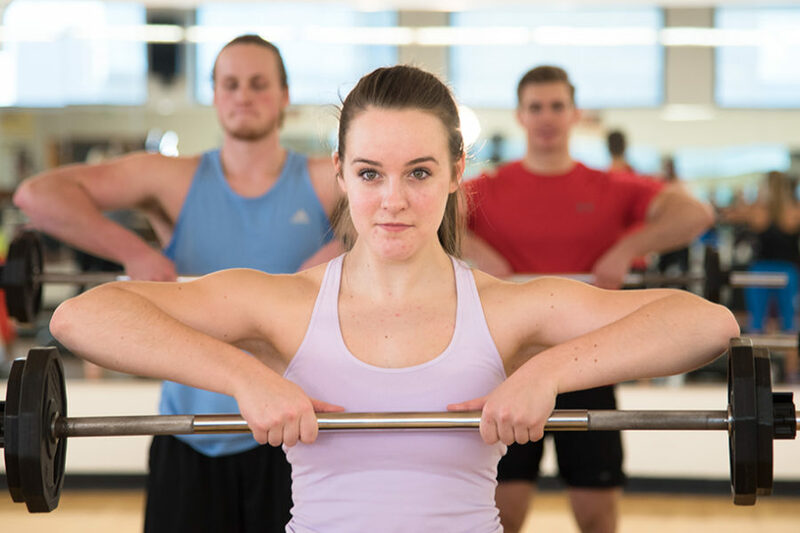 Please note that the Group Fitness program is subject to changes and breaks due to the academic and campus calendar. 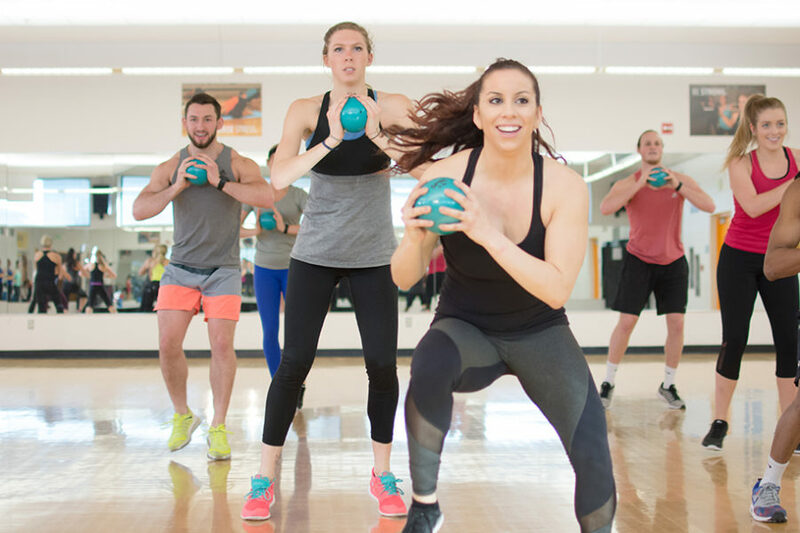 Purchase a Group Fitness Pass for unlimited access to our Group Fitness classes. Passes are sold online or at Nat Member Services Office. Rec Sports Membership required for purchase. 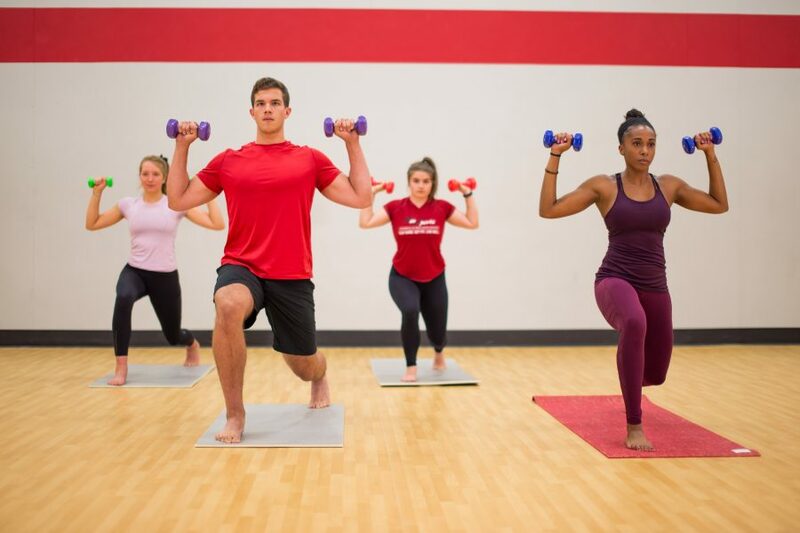 Please note that the Group Fitness program is subject to changes and breaks due to the academic and campus calendar. Spin your way to fitness with a challenging ride set to motivating music. Book your bike for all cycling classes using our new online reservation system. A refreshing no-impact alternative to land cardiovascular workouts. 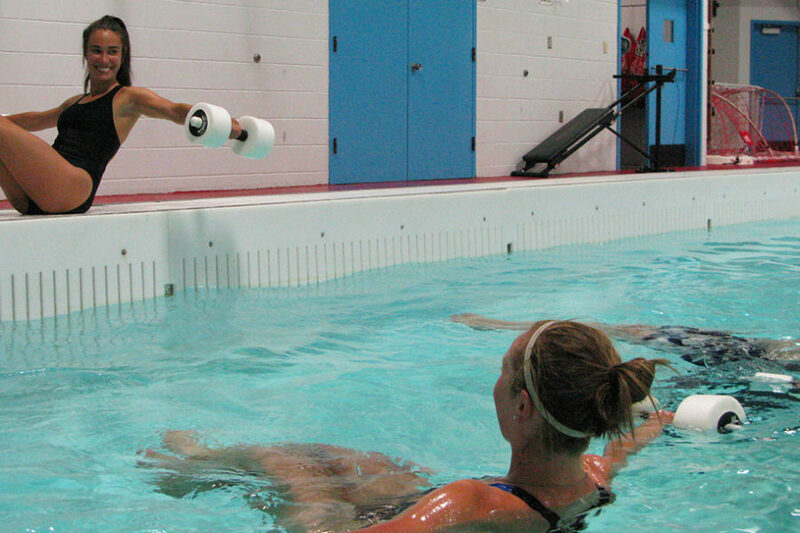 Class offers cardio and muscular conditioning by using the natural resistance of the water. Buoyancy belts and props are used to add variety to the workout. Explore new depths of fitness! A muscular-conditioning workout that uses free-weights and other fitness equipment. 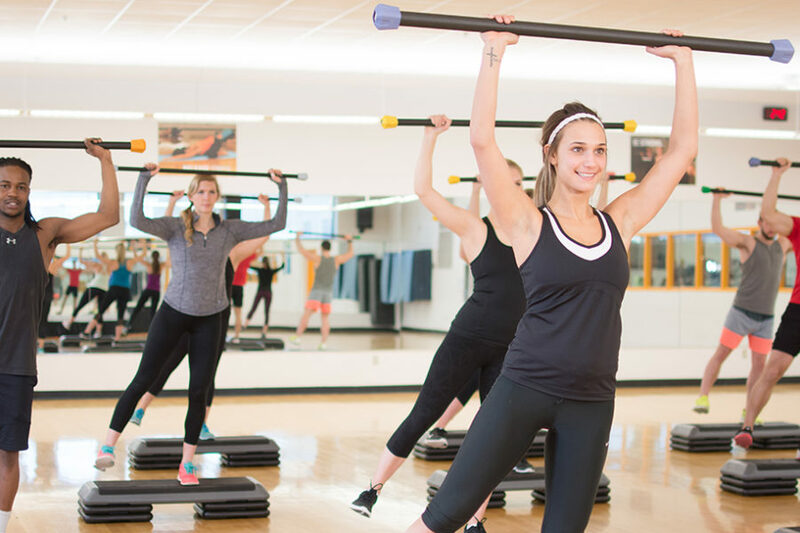 Instructors lead you through traditional and non-traditional exercises to improve your muscle strength and fitness level. Experience it once and you'll be hooked! HIIT (High Intensity Interval Training) integrates intervals of high intensity cardiovascular work with muscular conditioning utilizing a weighted bar and other equipment. Get ready to HIIT a new level of fitness! 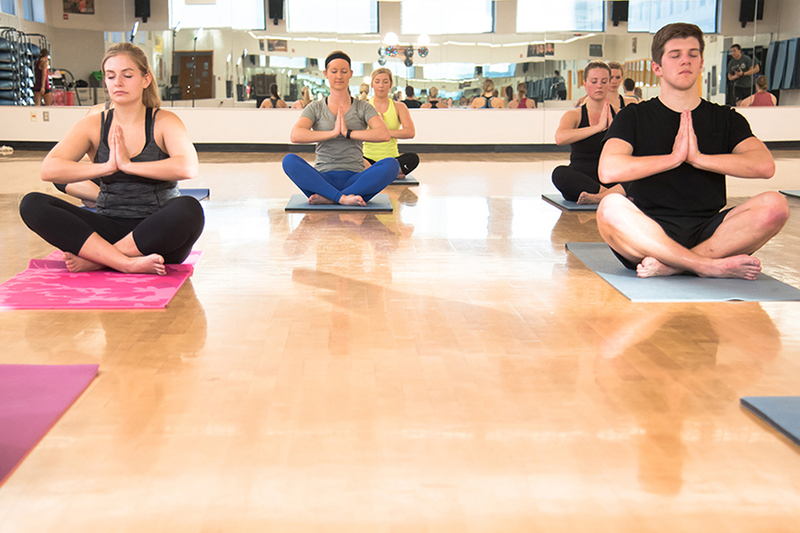 A combination of Yoga and Pilates with a fitness twist. Build total body muscular strength, improve balance and increase flexibility. A workout from the inside out! Although fitness mats are provided, you are encouraged to bring your own yoga mat. 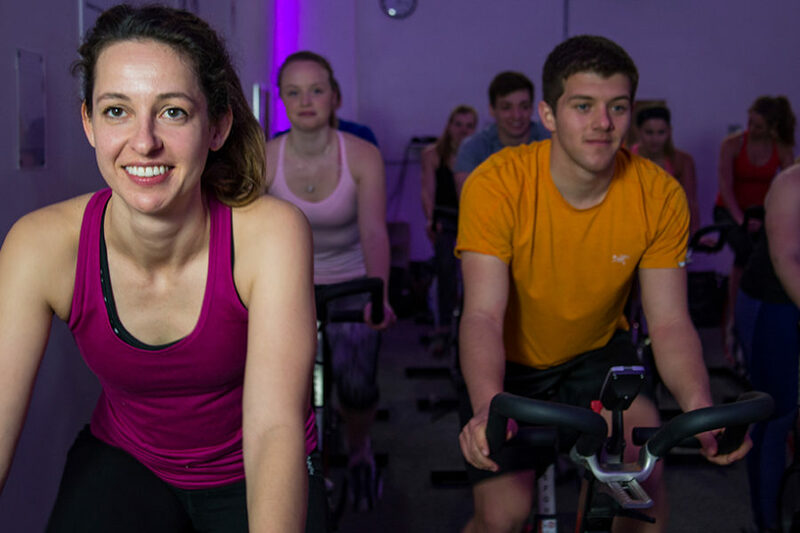 Clear your mind and let the music take control in this rhythm-based cycling class. 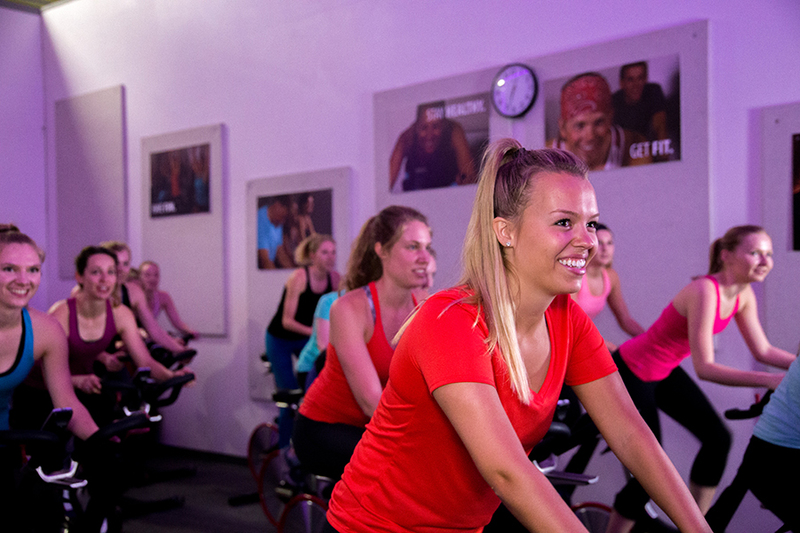 You’ll pedal to the beat of the music and move to energizing songs during this 60-minute ride. A workout that integrates high intensity intervals of tabatas (exercises performed for 8 rounds of 20 seconds of intense work and 10 seconds rest) with core training (abs and back exercises to challenge the core). Get in, get fit, get out! Challenge your power, strength, and endurance during this circuit-based, high intensity training session. 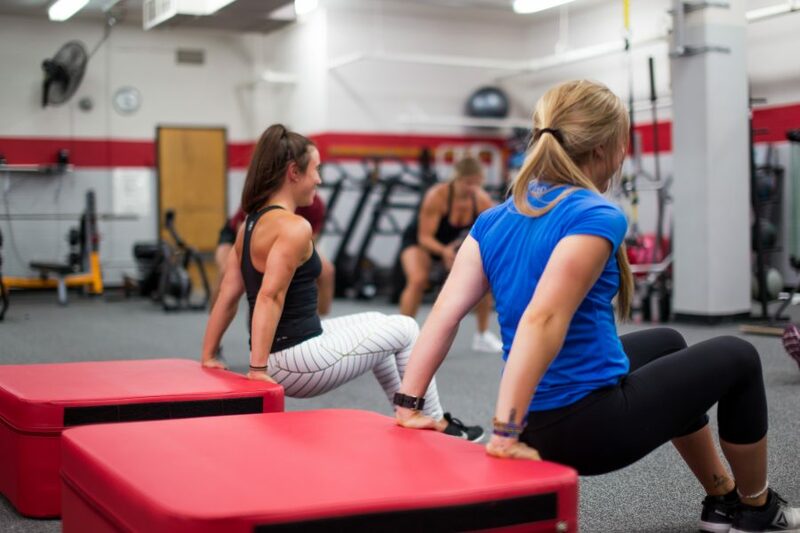 Let our coaches lead you through a workout using TRX, treadmills, battle ropes, kettlebells, ski ergs, plyo boxes, and more! Ease your mind while improving flexibility, strength and body awareness. Incorporates varied methods such as Ashtanga and Hatha Yoga. Yoga Plus is 75 minutes. A yoga flow that incorporates elements of strength training using light dumbbells. Cultivate body awareness and develop flexibility while building strength! A Latin-based workout that integrates dance and exercise while moving to international beats. Come feel the music, join the fun and forget you are working out! No dance experience required. Zumba Plus is 75 minutes. Participants must be 18 years or older to participate in Group Fitness classes. Athletic footwear is required for all Group Fitness classes except Yoga, Powerflow, and Deep Water classes. Group Cycling and Deep Water participants must pick up a class ticket at the Natatorium Member Services Office up to 30 minutes prior to the start of class. Limit one per person. Present your ticket to the instructor upon entry to class. Cycling classes are limited to 28 riders. Classes in Room 1065 are limited to 49 participants. A minimum of five participants is required for all classes to be held. Arrange a private Group Fitness class. 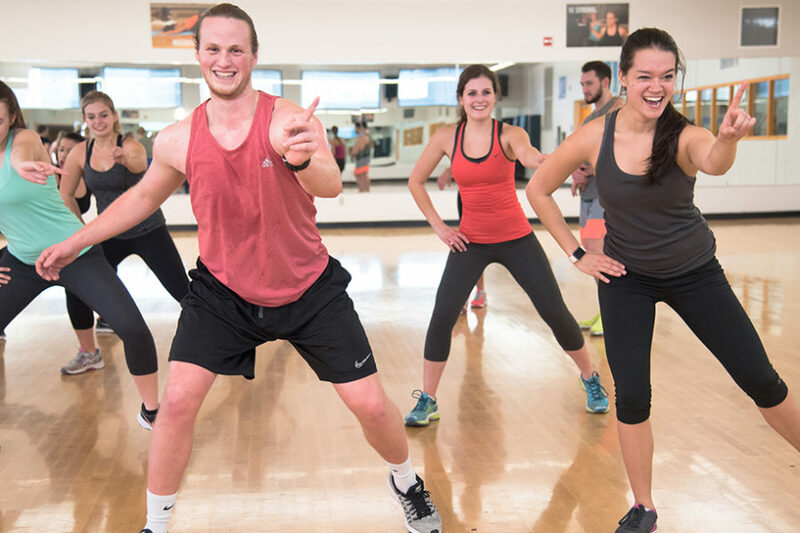 We offer private group fitness classes for UW student organizations, UW residence halls and UW departments. Request a class in our facilities (internal event) or in a space provided by your group (external event). Available class formats include Zumba, Yoga, Powerflow, Core Training, Tabata, HIIT, Group Cycling and Group Strength. Rates include instruction, space rental, fitness equipment and sound system. Users must have appropriate athletic footwear. Only water is permitted in the activity space and must be in enclosed containers. No other food or drink will be allowed. If you wish to photograph or video record the class, you must obtain prior permission from Rec Sports. Class formats available include Zumba, Yoga, Powerflow, Core Training and Tabata. Please visit the Reservations & Rentals page to review the policies, the rental rates and to fill out the special event request form. Questions about reservations and rentals can be sent to rs-speciale@recsports.wisc.edu.